Vitalija “Vita” Pangonyte Kemezys, age 95, passed away peacefully on Tuesday, August 21, 2018 at St. Paul’s Senior Community. She was born on April 2, 1923, in Marijampole, Lithuania, to Vincentas Pangonis and Ieva Ribinskaite. 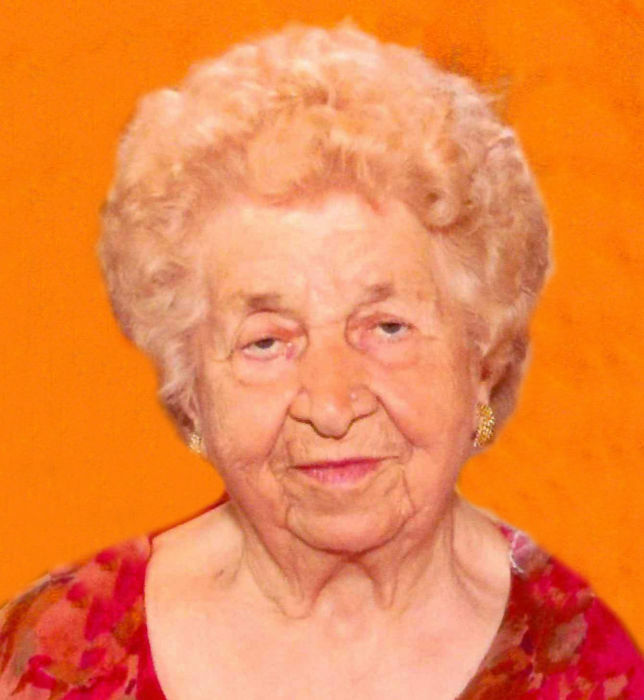 Vita married Petras Kemezys, and they relocated to America after World War II. She loved playing bingo, bargain shopping, going to casinos, playing cards, visiting friends, singing and dancing. She was very involved in her church, Immaculate Conception in East St. Louis, IL with her Lithuanian heritage. She was most proud of her five beautiful granddaughters. She was preceded in death by her husband, Petras, who died in 1988; her parents; her brothers, Vytautas and Romas; her sister, Onute; and her twin siblings, Algiukas and Aloute. Vita is survived by her four children, Kestutis (Chrys) Kemezys, Arvid (Monica) Kemezys, Raymond (Jean) Kemezys, and Lina (James) Weston; her five granddaughters, Ashley (Andrew) Hinz, Katherine (Joseph) Crismon, Jennifer (Nathan) Bagnaschi, Amanda Kemezys, and Maria Weston; her great grandchildren, Taylor, Callan, Charlotte, and James; her two sisters, Marija and Irena; nieces and nephews. The family would like to thank the staff at Parkway Gardens in Fairview Heights and later St. Paul’s Home in Belleville for the care and support they gave to Vita. In lieu of flowers, memorials may be made in Vita’s name to St. Jude Children’s Research Hospital. Visitation will be held from 11:00 a.m. to 1:00 p.m. on Saturday, August 25, 2018 at Holy Trinity Catholic Church, Fairview Heights, IL. A Mass of Christian Burial will be held at 1:00 p.m. on Saturday, August 25, 2018 at Holy Trinity Catholic Church with Fr. James Nall officiating. Interment will be in Mt. Carmel Cemetery, Belleville, IL.